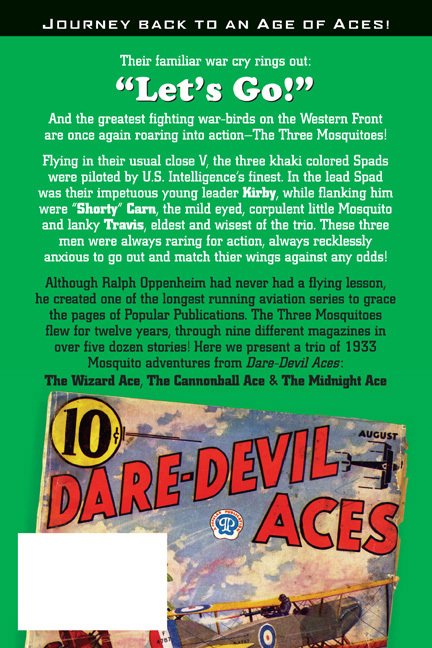 Dare-Devil Aces Cover Gallery Update! One of the great features of the Popular Publications air war anthology pulps we reprint in our books are the original Frederick Blakeslee covers. We feature Blakeslee’s interior black and white illustrations heavily throughout our books and on the covers. But the actual pulp covers were never representational of any of the stories or characters inside, so we don’t really get to feature them in our books aside from the back cover where sadly they are cropped and covered by the UPC code. 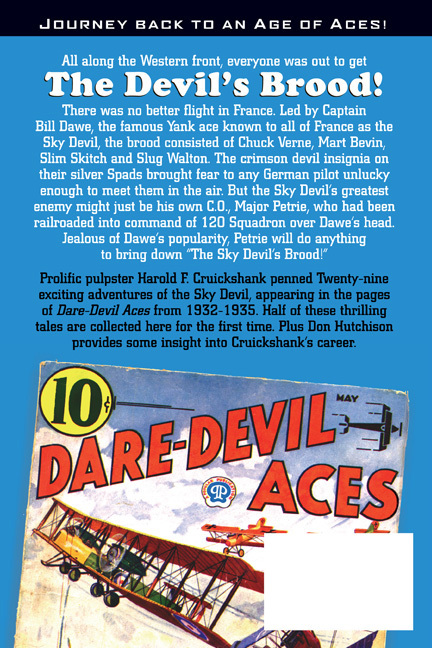 But here on our site we can prominently feature Blaleslee’s incredible covers for Dare-Devil Aces in full color! 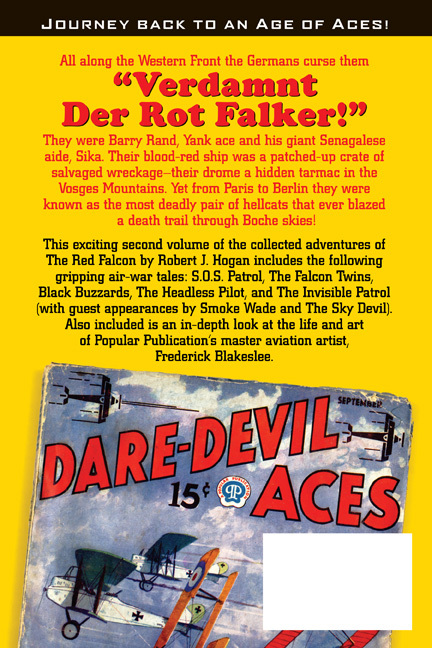 The Dare-Devil Aces Cover Gallery is a work in progress. We’re starting off with a good number of the covers from 1932 through 1933. We are missing a few we plan to fill in in the future. You may recognize the tops of a number of these. 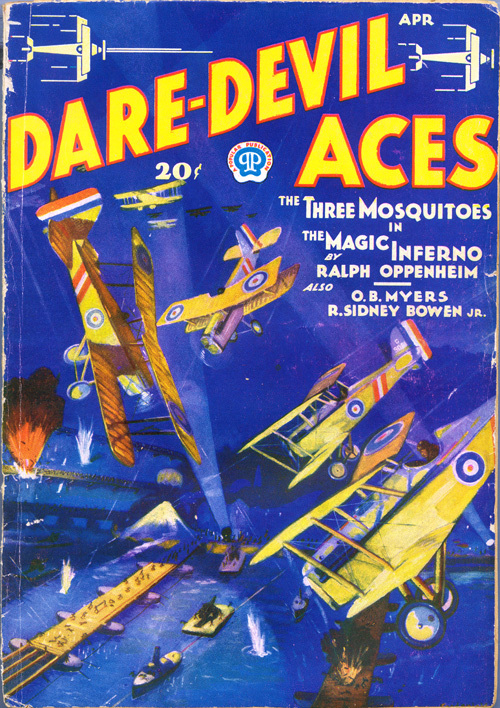 The April 1932 cover was used on the back of The Three Mosquitoes: The Magic Inferno. That’s the only cover from 1932 we’ve used so far, but we’ve used a number of the 1933 covers. Featured on the backs of several of our other books are the February cover which was used on the back of The Red Falcon Vol.1 while the September cover was used for Volume 2. 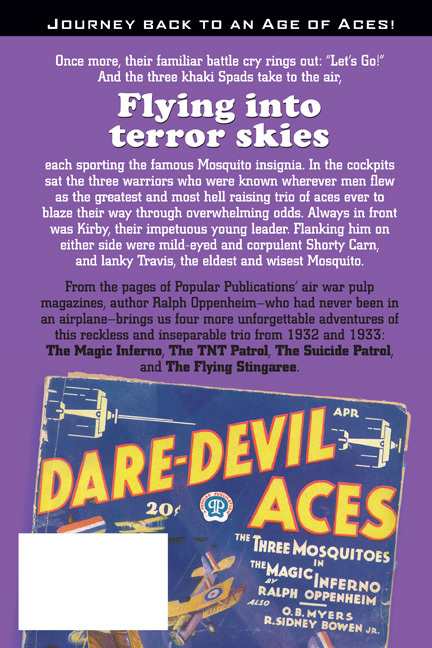 Our first collection of The Three Mosquitoes—The Wizard Ace—employed the August cover. The May issue featured on The Sky Devil: Hell’s Skipper! 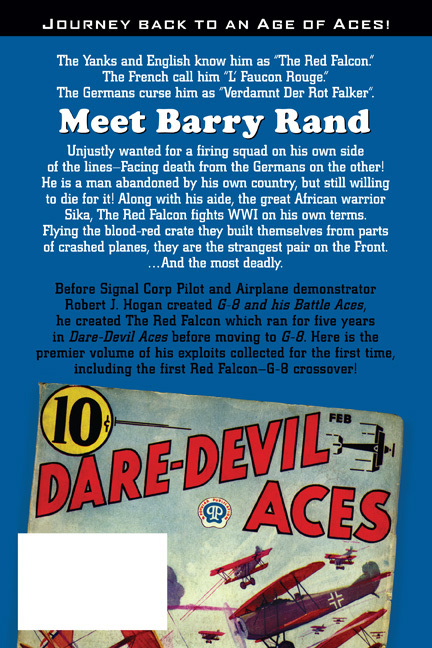 Check out the Dare-Devil Aces covers here! When they asked for volunteers to fly that spy mission, Abe answered because he couldn’t sit down. It took another spy to convince him that medals were not always granted for bravery. When the Blue Flare tore through the skies, no pilot ever failed to answer that signal for help. But sometimes someone answers it who shouldn’t. Then a baited trap is the only answer.